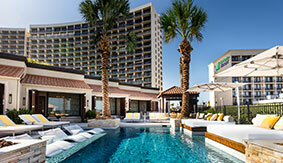 Escape to elegance, The Villas at The San Luis Resort in Galveston Texas... where every detail embodies island luxury. 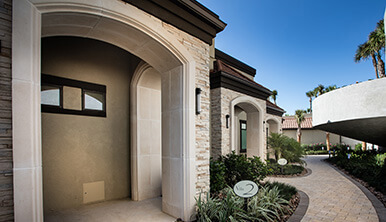 Tucked away in its own secluded enclave of the San Luis Resort on Galveston Island, you will find The Villas at The San Luis Resort– a luxurious and elegant island paradise retreat unlike anything else on the Gulf Coast. 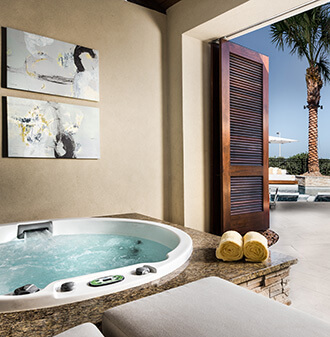 The Villas feature five expansive and richly-decorated private suites overlooking lush surroundings and a posh, climate controlled pool and private bar. Enjoy the Gulf breeze while sipping a glass of wine on your private veranda, complete with personal hot tub and seating area. 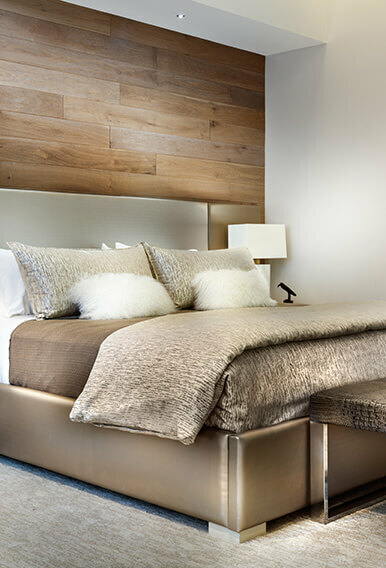 Each 800 square-foot suite includes an expansive king-sized bedroom that makes sleep as effortless as it is luxurious and a spa-like bathroom – all merged with the Villa’s superior service and beauty with the splendors of the nearby San Luis Resort. Indulge in a culinary experience unrivaled on Galveston Island, where authentic flavors are apparent in every bite. Savor house-made pastas at the award-winning Grotto or tantalizing steaks and fresh seafood at The Steakhouse, recognized among Texas’s top steak establishments. Featuring 10 unique restaurants with an emphasis on the extraordinary, Every meal at The San Luis Resort is an adventure worth repeating. We are ready to book your Galveston getaway! Please call 1-800-392-5937 for reservations.